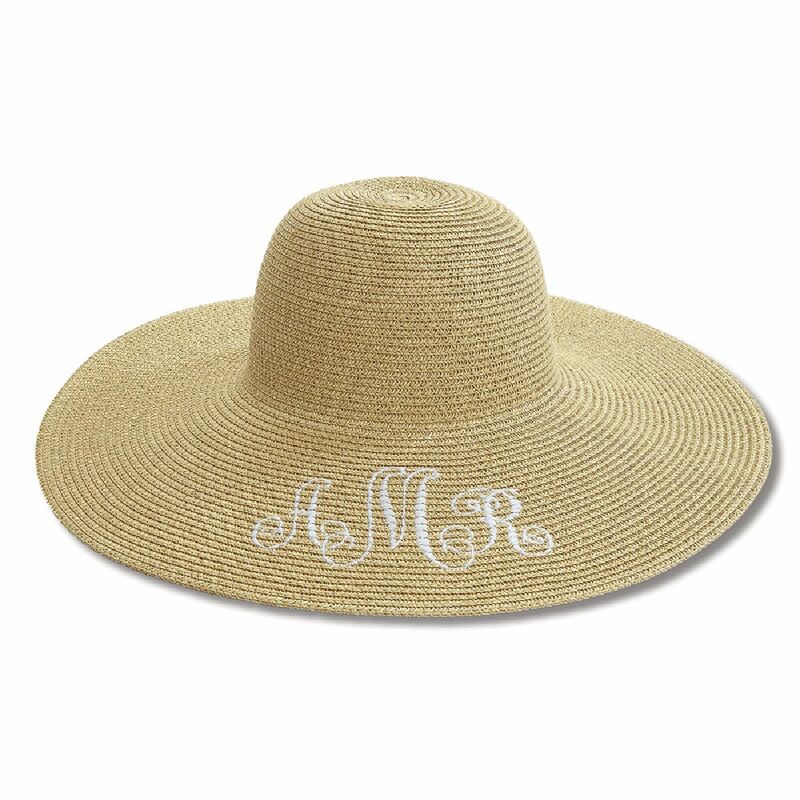 Enjoy the sun more safely with the protection offered by this wide-brimmed monogrammed hat. 17 1/2" diameter. 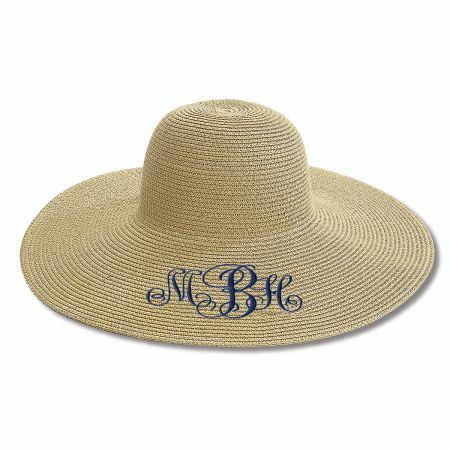 Specify thread color and 3 initials.